Perfect way to maximize the life of your DI cartridges. Tired of changing out your mixed bed DI, while there could still be good resin left inside the canister. TDS break thru can happen when either the Cation or Anion resin exhausts. This doesn't necessarily mean that the other resin (cation or anion) is fully exhausted. 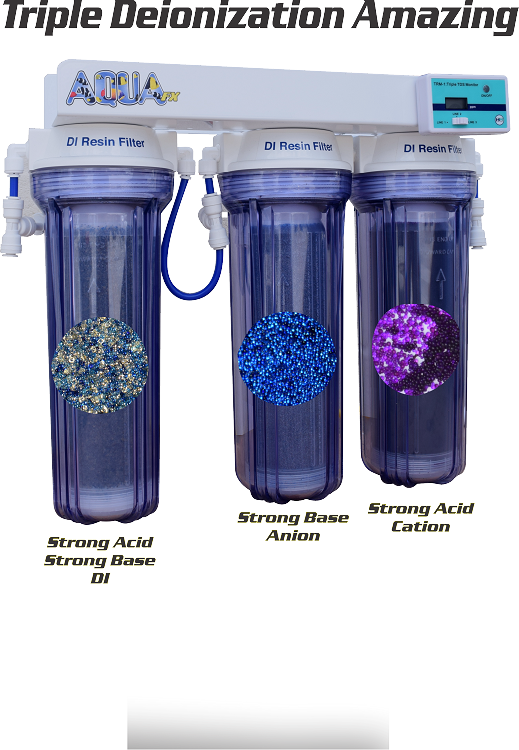 Simply add your own Cation and Anion resin to this system to allow for lots of seamless water production - it is highly reccomended to feed RO water to this DI system. What do you need to add to this setup?